BYE BYE MASCARA, HELLO EYELASH EXTENSIONS! The new technique of eyelash extension application called Russian volume is gradually imposing itself in salons all over the world and is beginning to be requested in the region. It’s a trick for you girls to create a glam-chic look. The eyelashes have a quality of being very light and they last longer up to 6 weeks. Fully happiness. 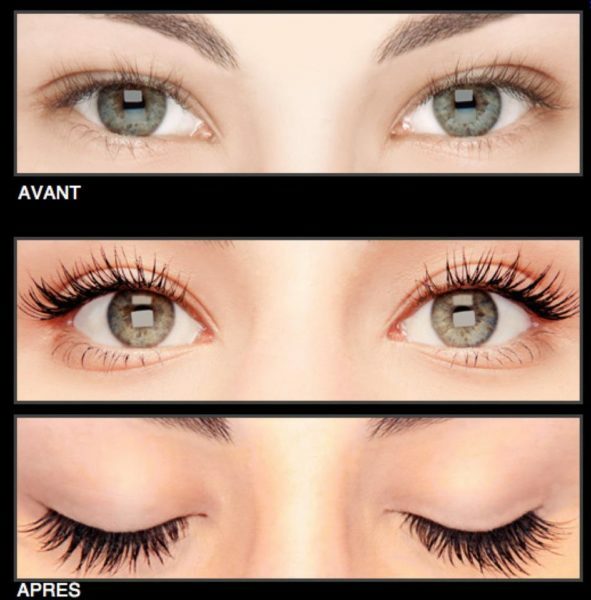 Eyelash extension is a method that offers the possibility of naturally more abundant, thick and long lashes. It is widely used by international stars to enhance their eyes. Extensions are high quality synthetic eyelashes that are glued one by one to the natural eyelashes, thanks to a specially tested adhesive adapted to the eye. Each extension is tapered at the tip with a thick base, is curved to replicate the natural lash. CAN I WEAR EYELASH EXTENSIONS ALL THE TIME? Yes, extensions do not damage natural lashes, you can of course wear them all year round. ARE THERE ANY CONTRAINDICATIONS TO THE USE OF EXTENSIONS? There is no real contraindication. However, if you have conjunctivitis at the time of the appointment, we will not perform the pose: we always work on a healthy area. If you wear contact lenses, you will be asked to remove them BEFORE the session. You can return them immediately afterwards. ON AVERAGE, HOW LONG CAN YOU KEEP YOUR EXTENSIONS? The eyelash extensions are glued to your natural eyelashes. It is not your extensions that fall but your natural eyelashes, it is important to know that eyelashes fall naturally, like hair. On average, after three weeks to six weeks without filling, one third of the extensions are lost. WHY DON’T YOU RECOMMEND FILLING? When in eyelash extension wear we can’t wash and clean our eyes properly on the hygiene side it’s not good for the lashes, that’s why you lose your natural lashes faster. If you want to continue extensions after 5 weeks I remove the remaining lashes, I do a good cleaning and care to strengthen the natural lashes and then I do the complete application. All this allows you to have pretty and healthy lashes to be in comfort with extension. CAN I GO UNDERWATER WITH MY EYELASH EXTENSIONS? The eyelash extensions are fully waterproof. You can go without fear underwater, to the beach, to the pool, to the sauna, to the hammam, to the shower, to the snow, you can cry with joy… ! Go for it with all your heart, your extensions will not abandon you!